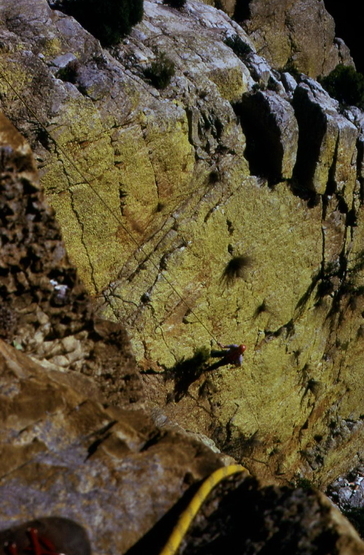 Mike Scott & John Moss on the first ascent of Spare Rib (14) - 1973 Photo thanks to Mike Scott collection. 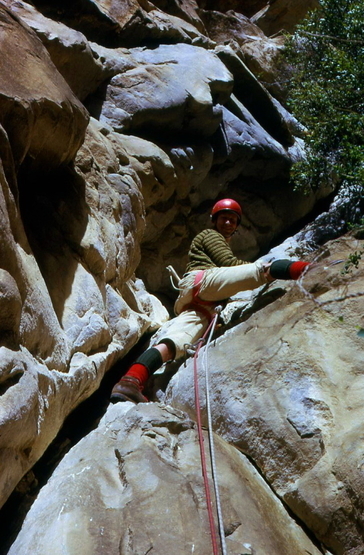 John Moss abseiling down Spare Rib (14) - 1973 Photo thanks to Mike Scott collection. 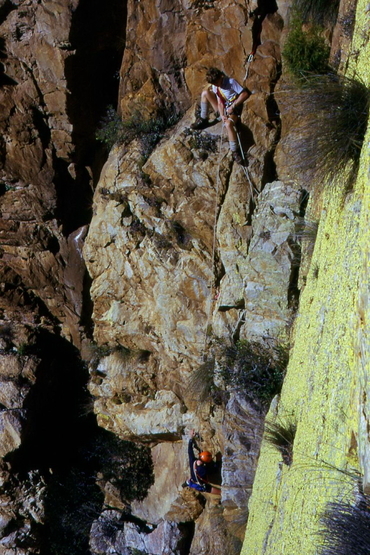 Mike Scott, Carl Deuter & Kim Cadle on the first ascent of Treason (14) - 1973 Photo thanks to Mike Scott collection. 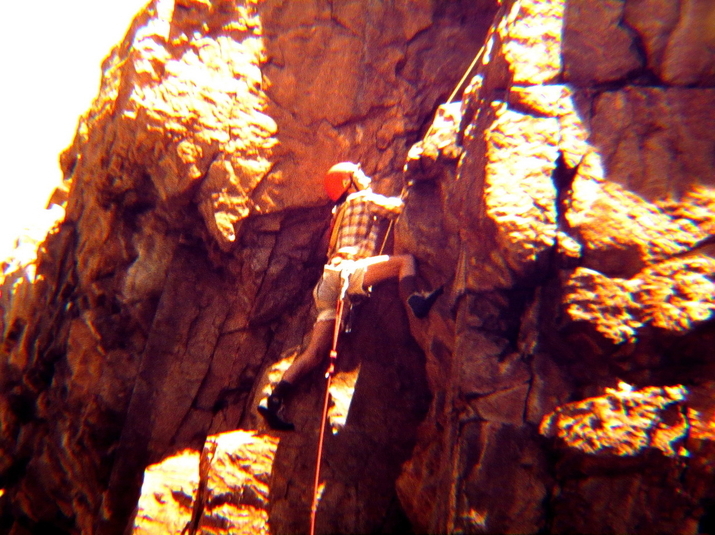 Carl Deuter climbing on first ascent of Treason (14) - 1973 Photo thanks to Mike Scott collection. 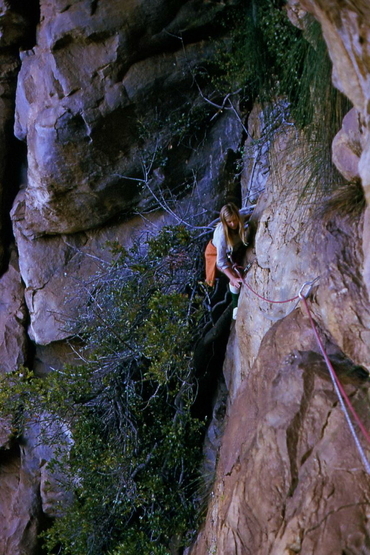 Kim Cadle on the first ascent of Treason (14) - 1973 Photo thanks to Mike Scott collection. Rob Mac Geoghan on Walters Advice (14) ~ 1976. 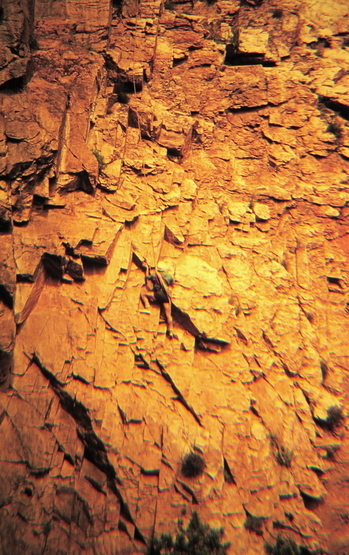 Photo courtesy Rob Mac Geoghan collection. 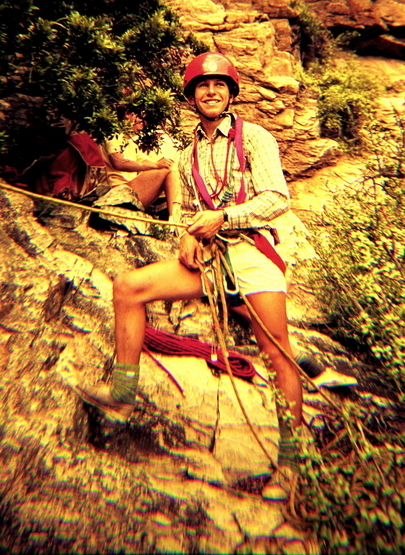 Andrew Forsyth in his youth, belaying in Tygerhok ~ 1976 Photo thanks to Mike McKechnie collection. 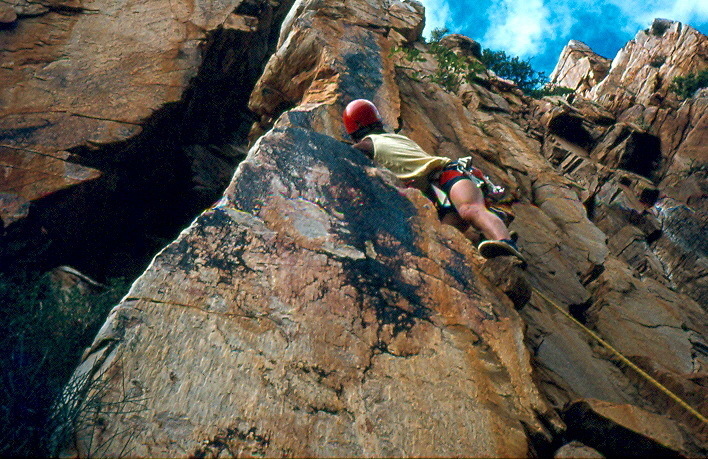 Kim Cadle climbing at Tiger's Eye Slab, Tygershoek - 1973 Photo courtesy Rob Mac Geoghan collection. 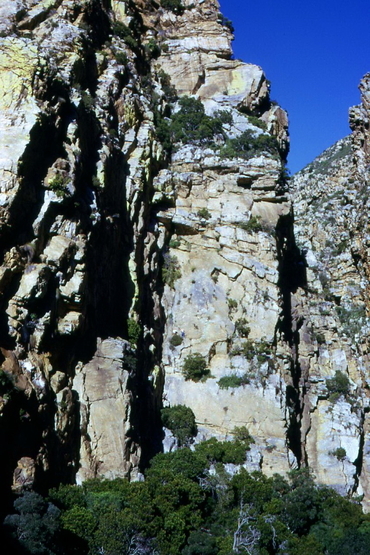 Andrew Forsyth climbing a route in Tygerhoek Gorge ~ 1976 Photo thanks to Mike McKechnie collection. 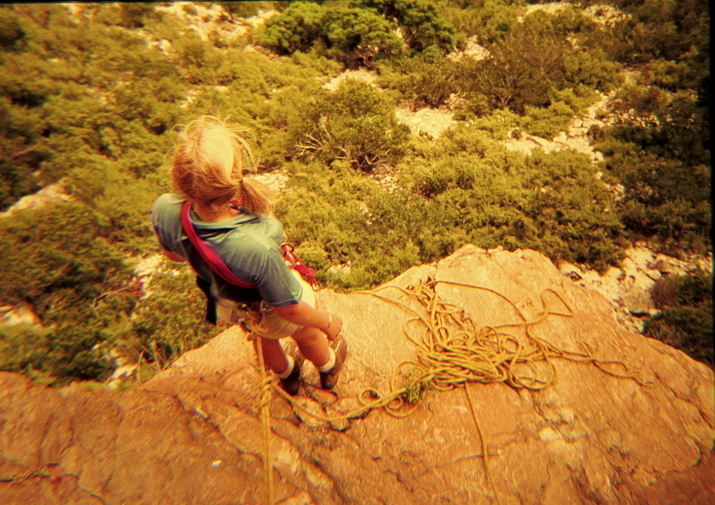 Unknown climber at the top of Treason Buttress in Tygerhoek Gorge ~ 1976 Photo thanks to Mike McKechnie collection. 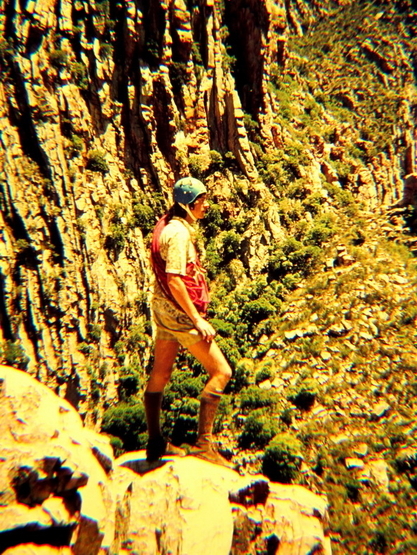 Unknown climber in Tygerhoek Gorge ~ 1976 Photo thanks to Mike McKechnie collection. 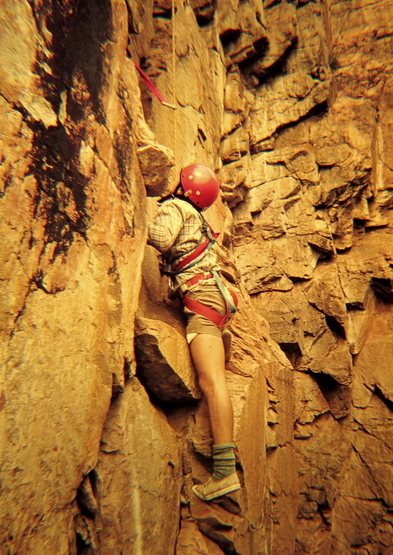 Tim Robertson climbing at Tygerhoek ~ 1976. Photo courtesy Rob Mac Geoghan collection. Please note that the exact location is not provided. 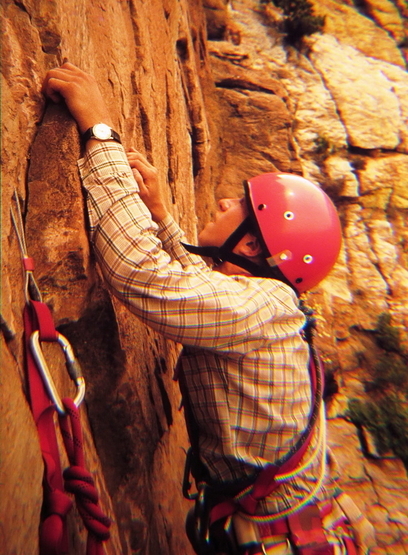 Acsess is controled & prior arangements need to be made before climbing. 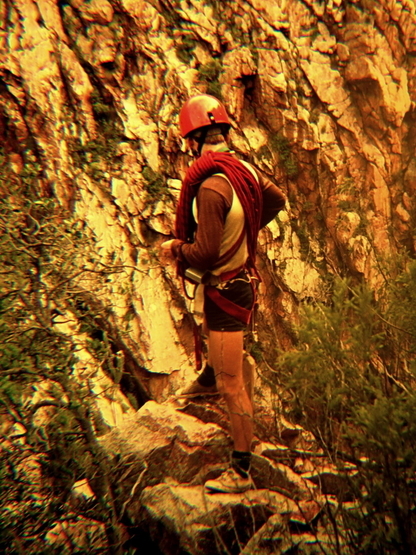 Please contact info@easterncaperockclimbing.co.za for more information. 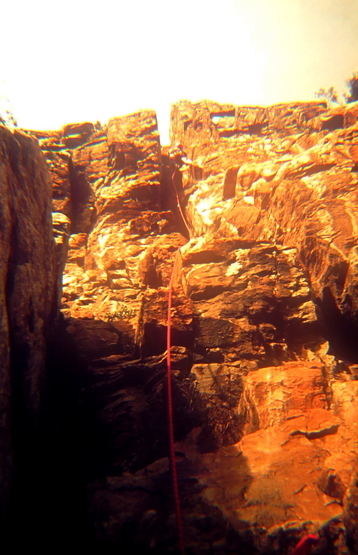 There is an up-to-date route guide for this area. 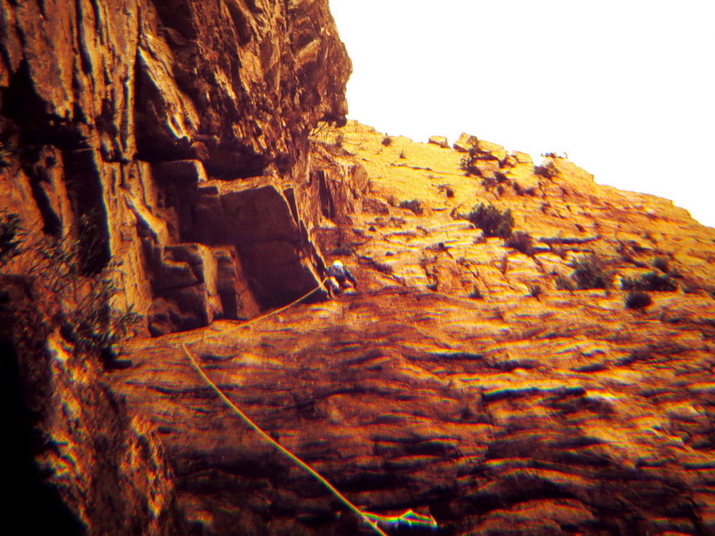 There are 45 recorded trad routes & 5 sport routes set in a senic pristine gorge.